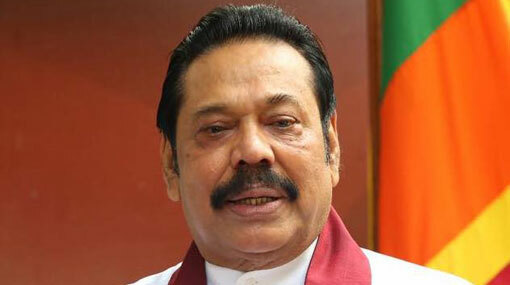 The leader of Opposition Mahinda Rajapaksa has extended his condolences on the tragic incident of mass shootings at two mosques in the New Zealand city of Christchurch. Issuing a statement, the Opposition Leader said the evil behind terrorism is the same regardless of the form it takes, face it masks and whatever clothes it wears. Extending his prayers and thoughts to Prime Minister Jacinda Arden and the people of New Zealand, the Opposition Leader emphasized the need to address hate. “Whatever form it takes, whatever face it masks, whatever clothes it wears, the evil behind terrorism is the same. As a race, we have sought after many reasons to proclaim war, whether it be for a piece of land, whether it be for rights or even in defence of those rights. War is ugly and while we hope for a world without it, our reality is the very opposite. Terrorism is different. The fuel of hatred behind the weapon is the defining line between man and beast. Yesterday, we were forced to watch in horror as 49 lives... 49 children of parents were gunned down, unarmed and unprovoked. Hearing of this yesterday brought back the all too vivid memories of my own people being gunned down while in prayer at the Kaththankudi Mosque on the 3rd of August 1990. On that day we lost 141 innocent lives to senseless terrorism. Our thoughts and prayers are with Prime Minister Jacinda Arden and the people of New Zealand. We wish you strength and hope at this very difficult time. We as Sri Lankans can relate all too well to the pain that you as a nation is going through right now. Today more than ever, we as human beings need to stand as one. Today, we need to address the hate. Face it, fight it and win it as one. I urge all my compatriots, peers and fellow leaders. Do not rest. Do not sleep. Once all our flags are up and waving in the wind, at the end of it all, we are who we are. Human.